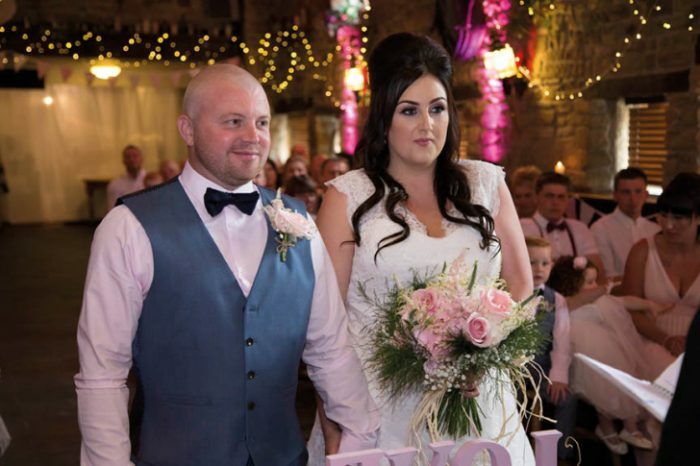 Andy and Sian Phillis were married in the barn at Cubley Hall on Friday June 3rd this year. 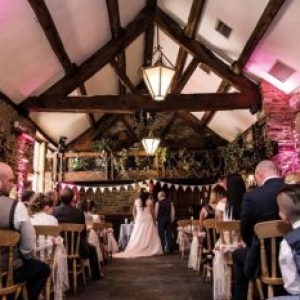 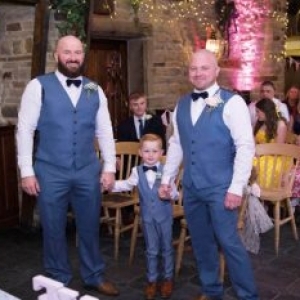 The barn, with its stone floors, high ceilings and oak beams, helped to create exactly the right atmosphere for the couple who have set up their marital home in the village of Grimethorpe near Barnsley. 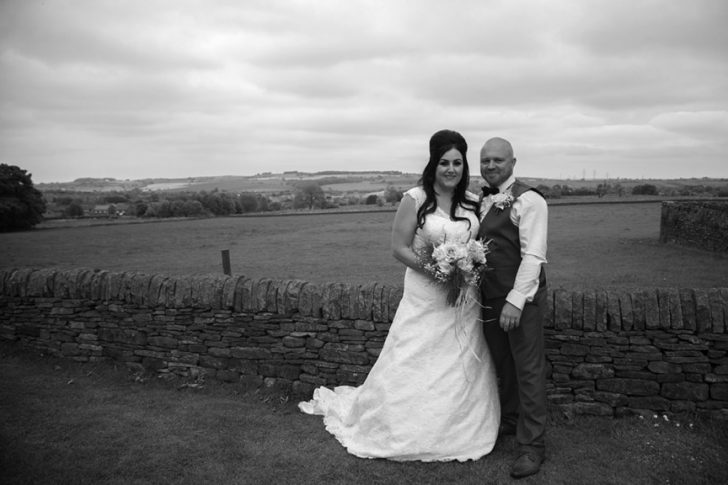 Sian works as a carer and Andy is the Managing Director of a telecommunications business. 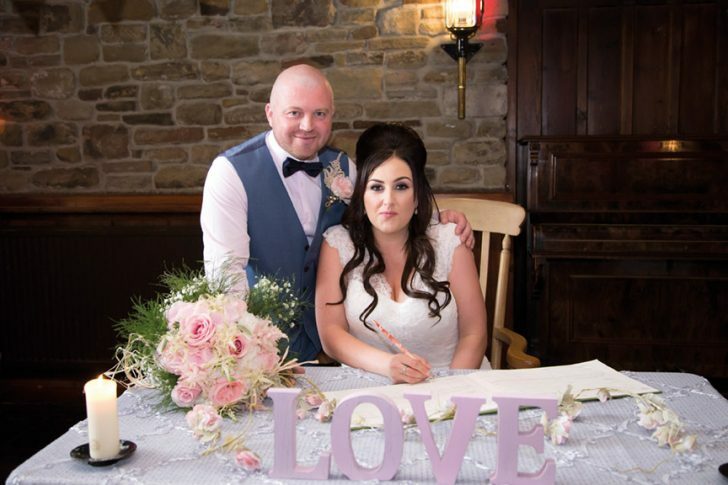 The couple, who are both from Cudworth originally, met through mutual friends and have known each other for nine years. 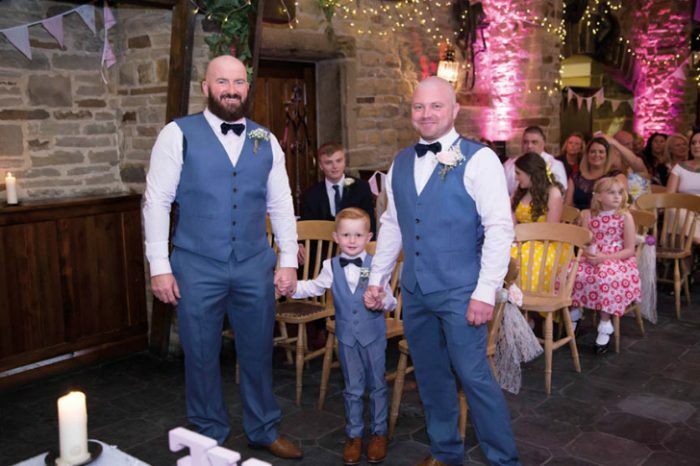 Over 70 family and friends attended the wedding ceremony and then enjoyed a wedding breakfast and evening party with Andy and Sian. 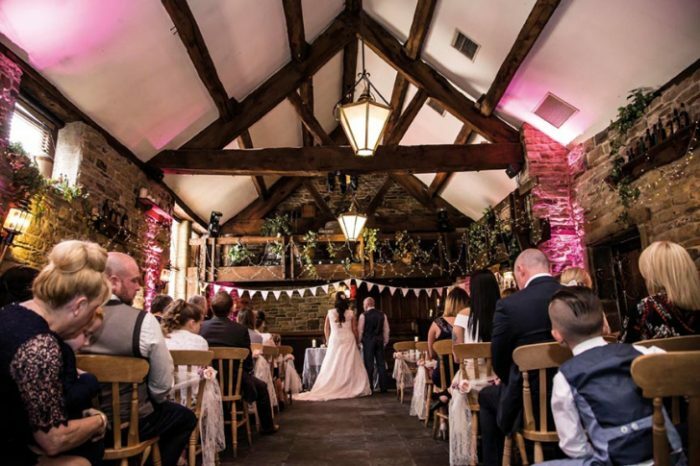 For the ceremony, the bride who stayed in the stunning surroundings of Cubley Hall the night before the wedding, wore an ivory vintage lace dress with short sleeves, an A-line skirt and a scalloped hemline. 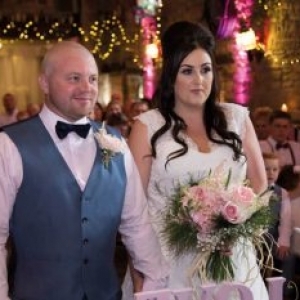 Her wedding dress was a case of second time lucky – as she took her first choice dress back to the shop after falling in love with a different design. 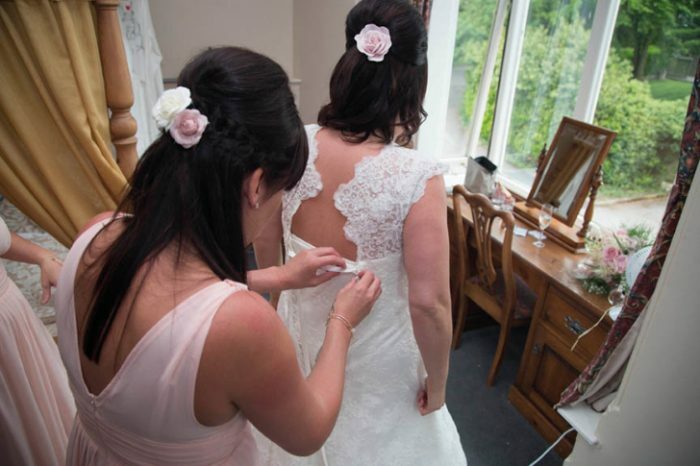 “I bought my first dress off-the-peg but then saw another dress which I loved so it was all change’’, said Sian. 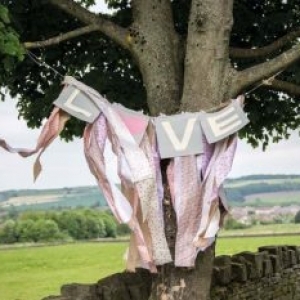 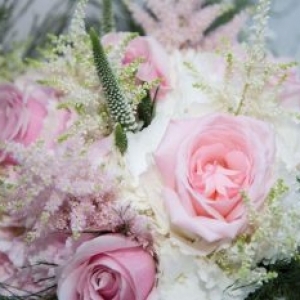 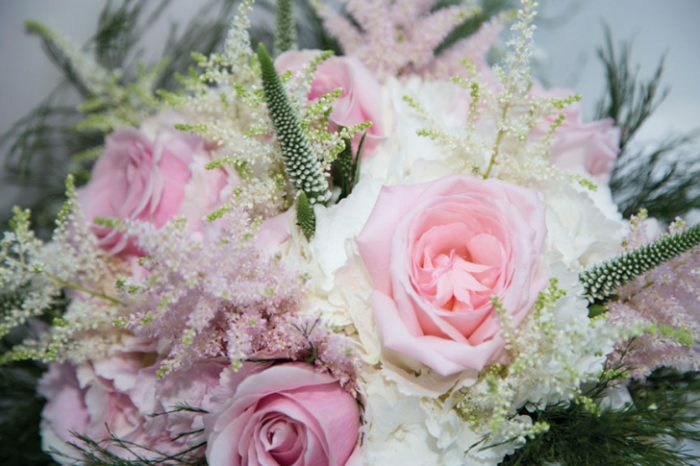 She carried a bouquet of shabby chic inspired blooms which included some wild flowers and a mix of various pink flowers, ivy and other green foliage. 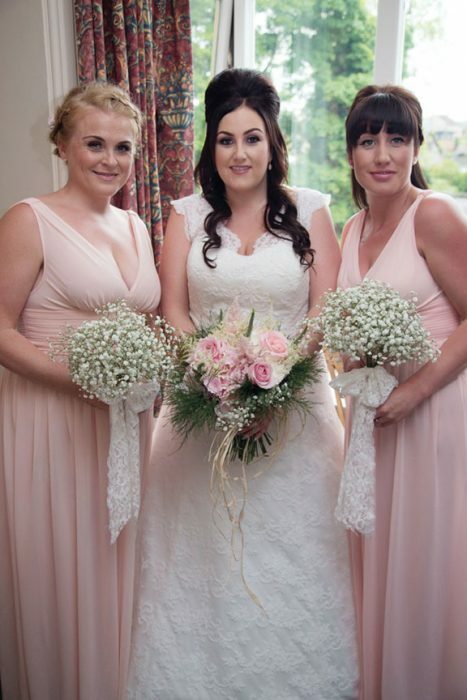 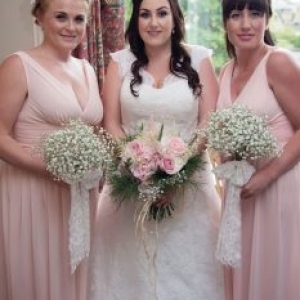 She was attended by two bridesmaids who wore peach dresses and carried lace and gypsophilia bouquets, and two flower girls who wore ivory coloured dresses. 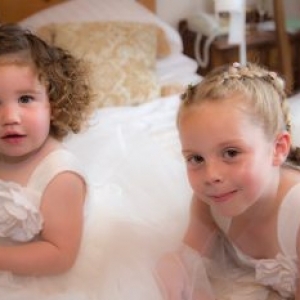 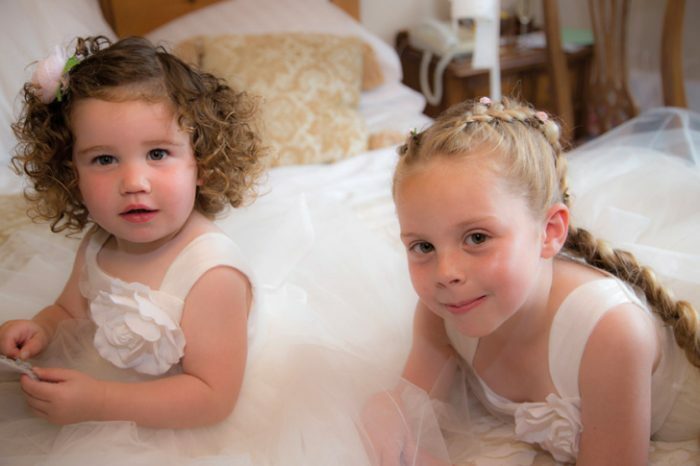 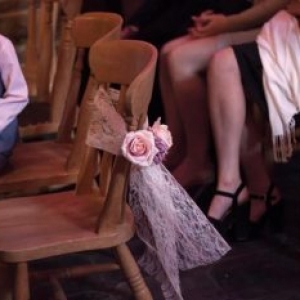 The flower girls, including little daughter Ruby, carried Love Heart signs. 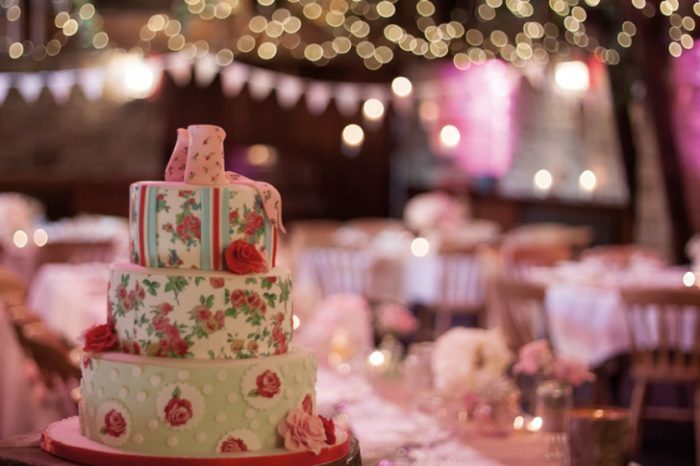 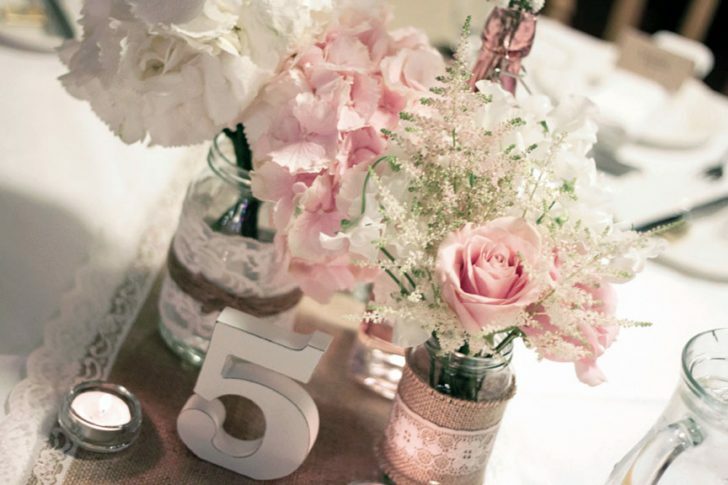 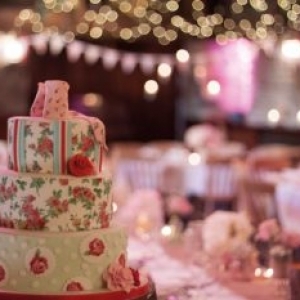 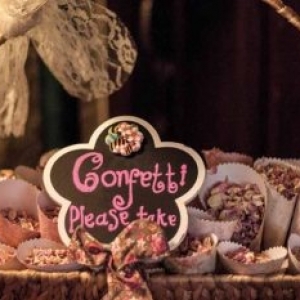 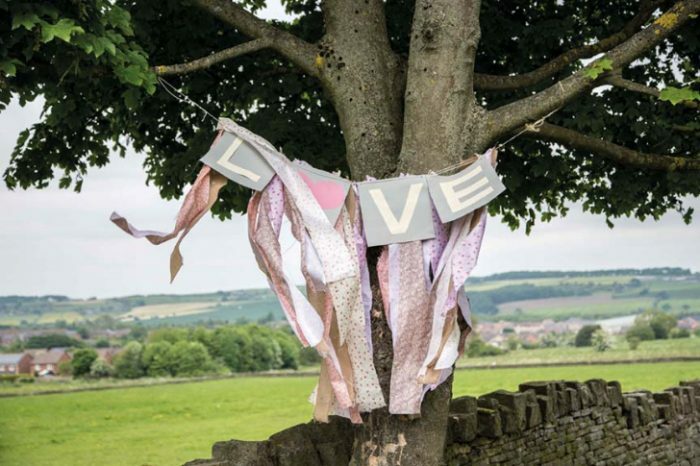 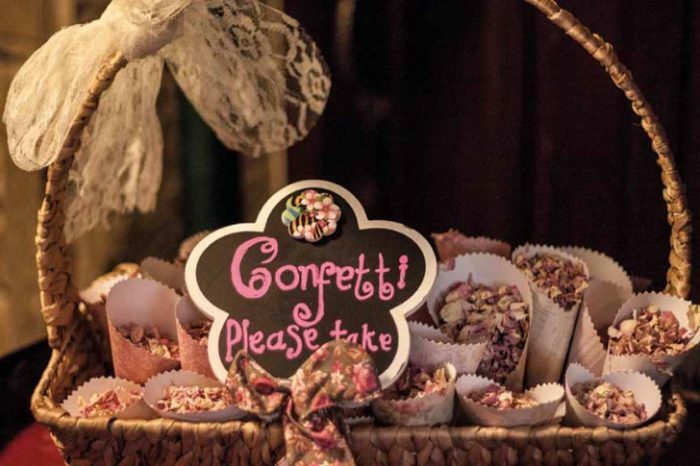 The shabby chic theme continued through to the reception where the couple had a three-tier sponge wedding cake covered with pastel coloured iced flowers. 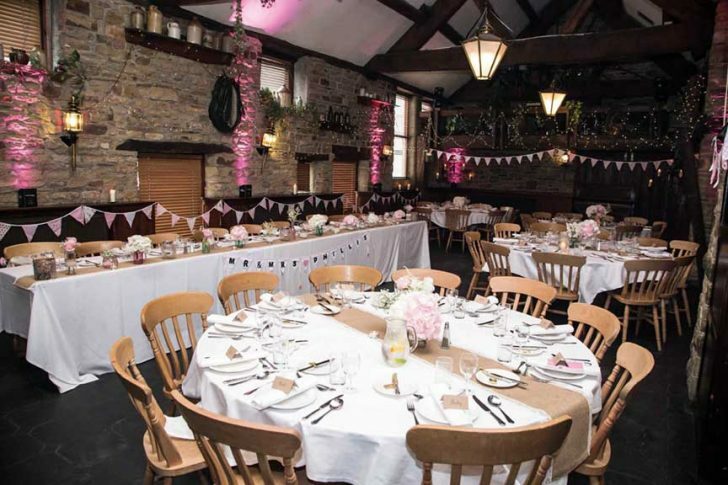 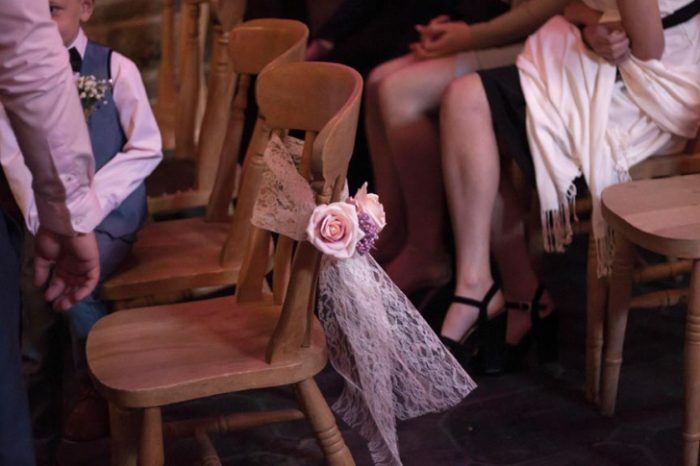 The barn venue had been decorated with vintage bunting, hessian table runners, floral centrepieces – all inspired by the shabby chic look. 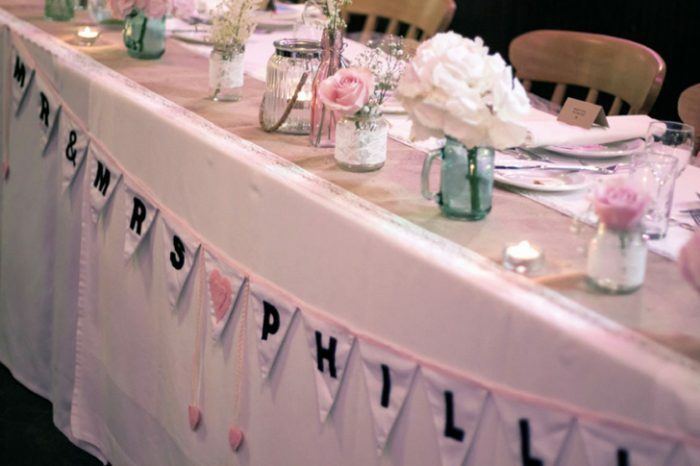 The couple left for their dream honeymoon to The Maldives, an archipelago in the Indian Ocean, the day after the wedding. 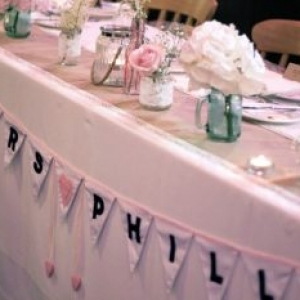 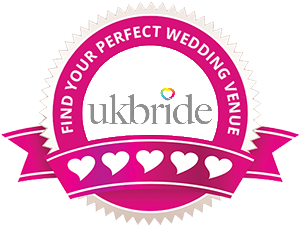 Cubley Hall is a popular venue for weddings and has various rooms to suit any size of wedding.